When Liberty Games got in touch and asked if we'd be interested in testing out and reviewing their Strikeworth Defender Football Table, we knew our football mad kids would never forgive us if we didn't jump at the opportunity! So, the day after chatting to Liberty Games a large parcel was delivered and major brownie points were gained with the kids! For this part we recommend you call upon the family's finest flat pack pro. It took us a little while to get the hang of putting it together mainly because, as with any football table, there are a lot of moving parts to consider. However, with Christmas tunes playing and a little mulled wine on the side, we soon had a gorgeous table ready for its first match! The finished product is impressive. We were sent a table with the red/wood finish (we loved this classic look), but as you can see in the photos above, it's also available in a black and silver. The table not only looks great but is also surprisingly sturdy. The overall quality of the table, players and rods is excellent and feels as though it will withstand plenty of usage (which judging by the kids so far, it's guaranteed to get). It also comes with little floor levellers so you don't have to faff around on uneven surfaces. The table is intended for the whole family and definitely delivers on this. It's compact enough for little players to get involved but big enough for parents to easily join in too! The table includes rubber sound-dampening discs at the ends of the rods, to keep noise to a minimum. This is a bit of a game changer! Although the table is 4ft it is light enough to move around when it's not being used and as space is precious with kids this is a bonus! We did some research and at £109.99, this table definitely seems to be great value for money compared to some of its counterparts online. 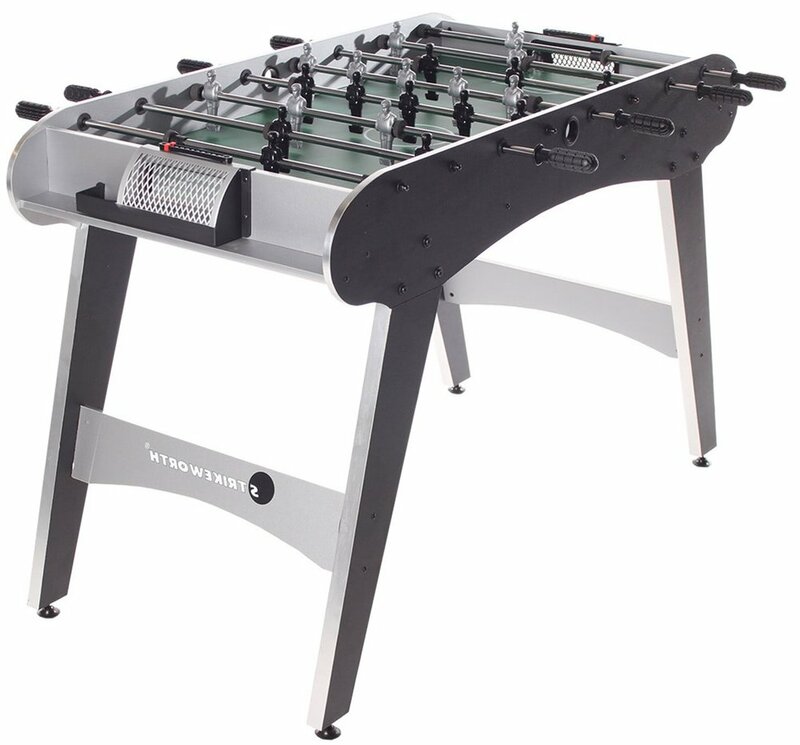 If you're in the market for a football table that the whole family can enjoy this Christmas, and beyond, we'd definitely recommend you taking a look at the Strikeworth Defender 4ft Football Table. There are just eight days left to order for delivery before Christmas!